Welcome back to the 2015 New Quilt Bloggers Blog Hop -Week 3! We took a little break from introducing our readers to new bloggers since so many people travel during the first couple of weeks of July (most of our hoppers are US based.) 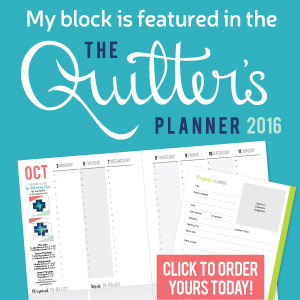 But we’re back and ready to rock-n-roll again, with another round of new quilt bloggers for you to check out! There’s also another amazing giveaway for you all to enter at the end of this post. I hope you were able to visit all of our previous bloggers during our break. If you missed them, here are the links to my groups for Week 1 and Week 2. I am looking forward to getting to know more of the Sewcial Swarm this week, and I hope you have fun following along with me. We have 4 hosts, Yvonne @ QuiltingJetgirl, Cheryl @Meadow Mist Designs, Stephanie @ Late Night Quilter and myself, each posting about several new bloggers for you to check out on Mondays over the course of 4 weeks (on week 3 now!) It’s a big blog hop, so that also means big giveaways. Scroll down to the bottom to check out this week’s awesome sponsors and big prizes. New Quilt Bloggers Week 3 Giveaway! Answer a multiple choice question: What social media platform could you spend all day using? Answer a multiple choice question: What is your favorite beverage? Giveaway will run from July 13th through June 18th 11:59 pm EST and is open to entrants 18 years or older. Winners will be announcedSunday, July 19th! I hope the break was nice for you, Terri Anne, and I hope the blog hop finishes out successfully! Saw some great stuff on these new blogs. Thanks! BTW, you mis-typed the end of the giveaway date and listed it as June instead of July.